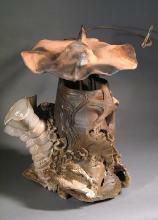 student success of Ceramics, Sculpture, and Drawing. Teach general ceramics, sculpting, drawing, painting, and advanced ceramics grades 9-12. Teach General Art to behaviorally challenged students in grades K-12. Responsible for all aspects of firing, glazing and clay formulation. Taught Ceramics to undergraduate students. Taught; Beginning, Intermediate, and Advanced Ceramics. Lectured / Demonstrated Hand Building, Wheel Throwing, and Ceramic Art History. Responsible for all firing and glaze formulation. Worked with students to find their “Voice in Clay” of their Ceramic art work. Helped students to develop careers in teaching, or with placement in graduate programs. Taught drawing, painting, sculpture, ceramics, and advanced ceramics to students in grades 9-12. As Head Graduate student supervised two graduate and three undergraduate students. Designed and built Raku and Wood firing kilns. Responsible for clay and glaze formulation. Ceramics instructor for adults and children. Taught encounters class for undergraduate students. Responsible for clay and formulating glazes.